Given the state of affairs in Myanmar's restive Rakhine state, the United Nations investigator of human rights abuses in the country expressed deep disappointment in Myanmar leader Aung San Suu Kyi over her 'indifferent' response to the violence against the Rohingya Muslims. The investigator, Yanghee Lee of South Korea, is a leading child rights expert who has been appointed to her United Nations human rights post in 2014, reported the New York Times. 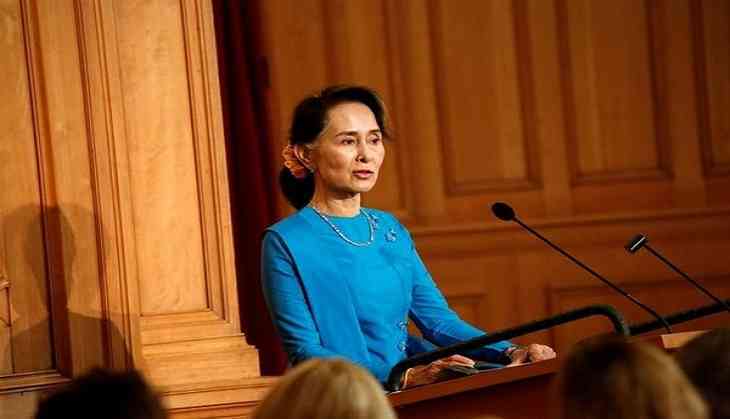 "It has really baffled everyone, and has really baffled me, about Daw Aung's non-position on this issue, she has not ever recognised that there is such a people called Rohingya - that's a starting point. I'm very disappointed," said Lee while speaking to reporters at the United Nations. There was no immediate response to Lee's comments from Myanmar's diplomatic mission to the United Nations. "If the Myanmar leader were to "reach out to the people and say, 'Hey, let's show some humanity,' I think people will follow her - she's adored by the public," reported New York Times quoting Lee as saying. Earlier in September, Suu Kyi's portrait was removed from public display at the Oxford college. Since August 25, Myanmar's powerful army has launched a military campaign against the Rohingya. The Rohingyas are not recognised by Myanmar as its citizens and are called Bengali by them. More than 600,000 Rohingya have fled the country to walk by foot or sail in rickety boats to arrive in neighbouring Bangladesh.